As Corporate Controller, Madison Miner oversees BaronHR’s accounting, payroll and collections departments. She is responsible for filing quarterly financial reports in 40 states and processing Form W-2 materials for the entire BaronHR family of companies. Miner previously served as the company’s collections and payroll manager. She assembled and managed a high performing team overseeing a multi-million dollar aging report/portfolio. Miner streamlined key processes at the branch and corporate level while taking steps to successfully enhance cashflow. She joined the company in an administrative role and was quickly promoted to positions of greater responsibility. 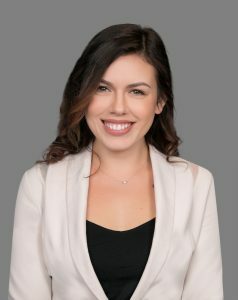 Prior to joining BaronHR, Miner was in the luxury retail field, where she was engaged in customer service, employee training, event planning and coordination, and liaison with various brand representatives.